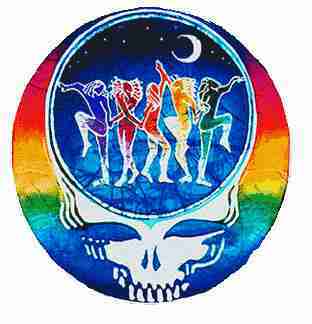 This Grateful Dead Steal Your Face Sticker has dancers in the middle on a batik styled background. It measures 5" round and is official Grateful Dead merchandise. Be sure to check out our t-shirt and hoodie with the same design.